An attractive country house with substantial hill ground on the Cowal Peninsula in Argyll and Bute, famed for its outstanding scenic beauty and cultural history, has recently come to the market. 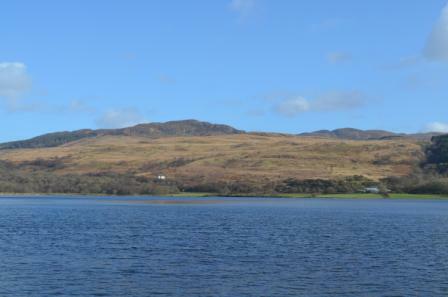 Situated just north of the small settlement of Colintraive on the picturesque Kyles of Bute, Loch Riddon House commands stunning panoramic views overlooking the Loch Ruel and possesses a substantial block of self contained hill ground, the Ardachulpe Hill Ground, extending to some 965 acres. Loch Riddon is a modern country house with approximately two acres of fully enclosed gardens and useful outbuilding, sheltered by mixed amenity woodland. The accommodation extends to three large reception rooms, four bedrooms, one with en-suite, family sized bathroom and kitchen with additional utility room and a separate study/office. The property benefits from the large, spacious living area at the heart of the property, with solid oak flooring throughout, a wonderful open fire and a large picture window providing an abundance of light and presenting the ideal location to relax and enjoy the spectacular country views. 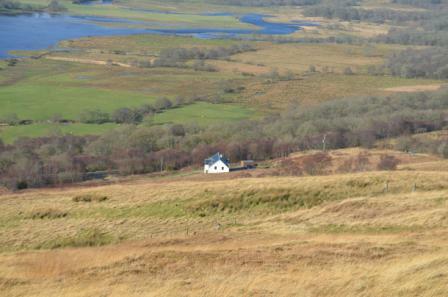 The Ardachuple Hill land is directly behind the house and provides a mixture of vegetation from grassland to peat with heather throughout. The land has in the past carried a stock of 320 black faces ewes and is currently home to 120 gimmers and 12 head of cattle. It is also anticipated that part of the land would be suitable for forestry planting subject to consent from the Forestry Commission Scotland. In addition, the Scottish Rural Development Programme (SRDP) has approved an application with regards to part of the hill ground to maintain and increase the black grouse population through the regeneration of the existing moorland and native scrub ground. In time this will offer additional shelter, roosting sites and, crucially, an additional food source for black grouse during the winter period. The intention is also to reduce grazing pressure on parts of moorland where cotton grass thrives, providing another invaluable food source for this bird. This large heather moorland hill has historically always been grazed as one block and is a very valuable habitat for many moorland birds, in particular Black Grouse (BAP species) and Skylark. Both require a mosaic of habitats for their survival given they feed and nest on different types of habitat. Duncan Barrie, who is handling the sale from our Stirling office said: "Loch Riddon offers a rare opportunity for prospective buyers to acquire an attractive modern country house in a truly stunning hillside setting in Argyllshire. 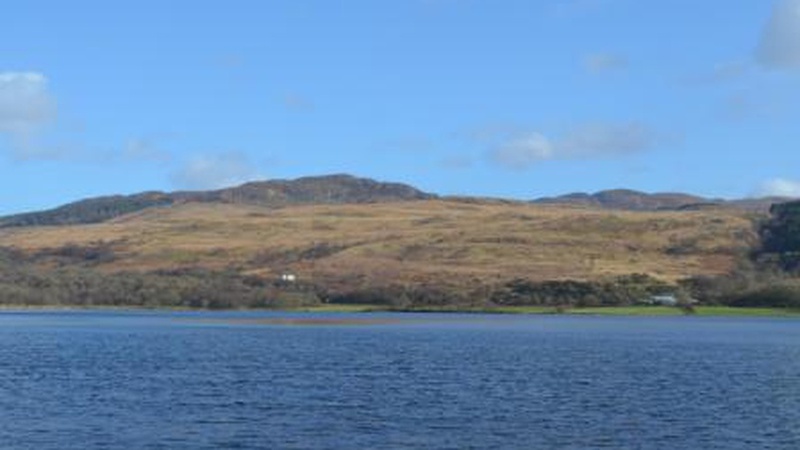 It is unusual for such an extensive area of land, offering good hill farming and sporting interests, to come to the market in the beautiful country setting on the Cowal Peninsula, and we expect it will generate a lot of interest." The property is within easy reach of Dunoon which offers an array of local amenities, as well as the attractive village of Hunters Quay, arguably one of the most beautiful rural areas situated amidst the rolling countryside in Argyll and Bute. 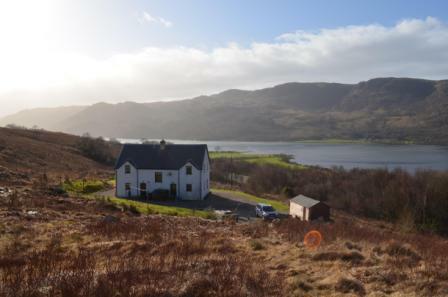 Loch Riddon House and Ardachuple Hill Ground are for sale as a whole at offers over 880,000 or alternatively the land is available separate at offers over 530,000. The house is not for sale without the land. Find out more about this property.